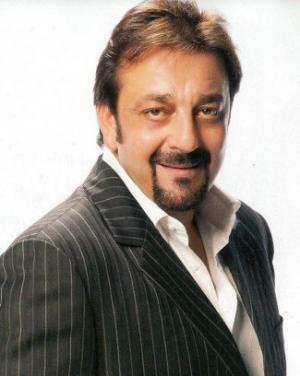 Sanjay Balraj Dutt was born on 29 July 1959, in Mumbai, Maharashtra, India, and is a film producer and actor, best known for his work in Bollywood, specifically in Hindi cinema. All of his efforts have helped put his net worth to where it is today. How rich is Sanjay Dutt? As of mid-2016, sources estimate a net worth that is at $10 million, mostly earned through a successful career in acting. He’s had a career spanning more than 35 years, and has gotten a lot of lead roles. He also won a lot of awards throughout this career and all of these ensured the position of his wealth. Sanjay is the son of actors Sunil and Nargis Dutt, so unsurprisingly started acting when he was a child, notably appearing in 1972’s “Reshma Aur Shera” which starred his father. In 1981, he was cast in the box office Bollywood hit “Rocky” for his movie debut, and then in “Vidhaata” the highest grossing Hindi film of 1982, continuing this streak with the hit “Main Awara Hoon”. Sanjay’s net worth was fortunately well established, as he went on hiatus for three years because of drug problems, but would then return in “Jaan ki Baazi”, then “Jeete Hain Shaan Se”, “Ilaaka”, and “Taaqatwar”. In 1986, Dutt achieved his first critical success with “Naam” which would solidify his position as one of the hottest actors in the industry, and he continued to receive great reviews with his performances in “Kabzaa” and “Hathyar”. In the 1990s, he would become part of era-defining films including “Sadal” and “Saajan”. However in 1993, he was arrested and charged with being involved in the 1993 Mumbai Bombings, and he was unable to act during the next four years due to continuing legal problems. He returned in 1997’s “Daud”, but would truly return to the spotlight in 1999 after appearing in “Kartoos”, “Daag: The Fire” and “Vaastaav: The Reality”, which won him his first Filmfare Best Actor Awards. He continued to be part of hits and award winning films in the 2000s, including “Mission Kashmir”, “Munna Bhai M.B.B.S” and “Musafir”. In 2006, he was cast in “Lage Raho Munna Bhai” which would earn him numerous awards, and was named Indian of the Year by NDTV, however, during this time he was troubled by the Mumbai Bombing trial, although despite being charged with Possession of Arms, he was still able to act through bail, and would go on to make more award winning films such as “All the Best”. In 2013, he was sentenced to jail for illegal possession of arms; he was released in early 2016. Dutt has 12 of his films in the top 100 highest-grossing films of all time. Over the course of his career, he has also tried other endeavors including hosting the reality show “Bigg Boss”. He also helped launch India’s first mixed martial arts league called Super Fight League. For his personal life, Sanjay married actress Richa Sharma in 1987, but she passed away in 1996 due to a brain tumor. The couple has a daughter who now lives in the United States. In 1998, he married model Rhea Pillai, but they eventually divorced in 2005. He eventually married Manyata in 2008 after being together for two years, and they have fraternal twins.